RHOS: The Orbiter "We Circle the Globe!" Greetings RHOS members and welcome to The Orbiter! Can you believe the year is almost over? As I reflect back on my two years of presidency I think about all the things that have happened and how our profession has changed is changing. Although change is inevitable, we have the ability as a legislative profession to control that change. I think about all the optometrists before me who have fought to shape the way I practice today, and to them I say "thank you." Thank you for your years of service to the profession and thank you for paving the way for future generations of optometrists. I would also like to thank my board for working hard and giving their time to this society. Your work and sacrifice does not go unnoticed. You guys made for a memorable two years. I look forward to continue serving on the board after my presidency is over and helping the society in whatever way possible. Thank you all for letting me serve as your president for the past two years. My favorite part about being in this society is seeing our members at our general meetings and hearing how our members are doing, especially the changes they are going through in their own professional and personal lives. Besides earning CE credits, attendees enjoyed Continental Breakfast, Mrs. Knott's Famous Fried Chicken Lunch, Boysenberry Pie, Coffee, Tea, Cookies, and Raffle Prizes! Thank you to our sponsors: Atlantis Eyecare, CenterVue, Coastal Vision, iCare, Konan Medical, NVISION, Optimax, Optovue, VTI, and WVA. Finally, thank you to all the doctors who traveled near and far to join us this year and for the hard work of the RHOS Board Members. We hope you will join us again next year! About 75 young OD’s and new graduates from all three California schools and a few students on clinical rotations attended the 2nd annual mixer sponsored by VSP at Dave and Busters in Orange County at the end of July. The attendees enjoyed expanding their knowledge via a financial panel with speakers on personal finance, practice solutions and COA benefits. Later the attendees broke out into sessions with OD’s from all modalities to learn more about practice opportunities. The groups in attendance ranged from co-management and post-operative care to retail, private practice and academia. Lastly, the young doctors in attendance mingled with their local societies and enjoyed the Dave and Busters arcade with power play cards courtesy of VSP. A very educational and social event organized by COA. Recommend young OD’s and new graduates take advantage the next time this event is organized. Most COA members now are eligible for a free basic listing on the Think About Your Eyes doctor locator. COA is paying the cost of this new membership benefit - all you have to do is update your company record in COA's database. Members who are already paying for a basic or premium listing will be contacted by Think About Your Eyes to ascertain whether they wish to upgrade, e.g., basic to premium or receive a pro-rata refund of the fee they paid. 2. Click on the link to update your practice/company contact information. 3. Click on the link to update your practice information and employees. 4. Send an email to COA with your name and COA member number informing COA you wish your practice to be published on the TAYE site. 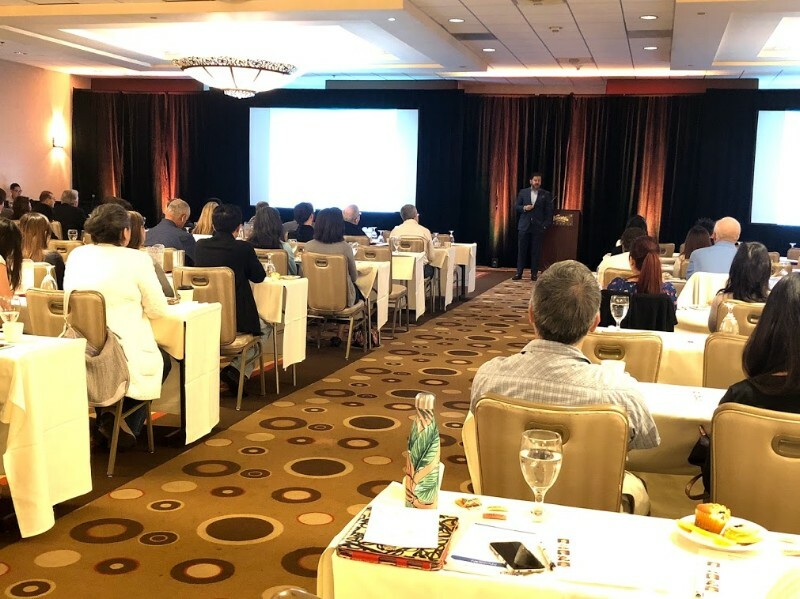 Over the past few years, California optometry has seen some game changing events that are guaranteed to challenge the way optometrist have historically practiced our profession. Some of these changes are currently showing their effect to some degree already and others are new in our horizon. These changes are basically coming from four different directions. Each change separately is significant and together they assure that the basic definition and duties of optometry in the future will not be the same as it is now. California optometry is in for quite a ride, epically the private practice O.D. The first change has to do with where our patients are coming from. Due to acquisitions, mergers and cost containment, carriers in the past 4 years have shown more emphasis on capitated vision plans (HMO) and less on fee for service plans. This is problematic for most private practitioner O.D’s in the fact that HMO sub-contracts with Independent Physician Originations (IPA) for their panel. As far as Optometry is concerned, most IPA panels are dominated by Ophthalmology and Optometry is frozen out unless they are they are employed by an Ophthalmologist member. Over the past 12 years, COA has been working to increase access for optometrists to managed care panels with very little success. This was mostly due to the carriers not wanting to contract with another group of practitioners that appeared to do the same as the group they already have. So the COA took another tack. Anthem Blue Cross had plans for “pop up” diabetic screening clinics for their members. COA arraigned for volunteer optometrists to join a few of these clinics in the Bay Area to show Anthem what optometry was all about. Since this concept of pop-up clinics was new to Anthem, the facilities were full of the company’s managers and higher ups. Optometry joined 3 of these day clinics over 4 months. The effect with optometry participating with the clinics showed a marked increase in the data outcomes and also showed that the O.D. was able to lessen the burden on the M.D.s that were staffing the clinic. They were all impressed, and Anthem wants to more projects with us. This doesn’t sound like much but we got our foot in the front door. The three other issues that are most likely to change the future of optometry are new technology, scope of practice and the O.D. workforce. More about these in future newsletters. Sexual harassment training - SB 1343 by Senator Holly Mitchell, D-Los Angeles, requires an employer with five or more employees to provide at least two hours of sexual harassment training to all supervisory employees and at least one hour of sexual harassment training to all nonsupervisory employees by January 1, 2020, and once every two years thereafter. California previously only mandated regular training for supervisors at large companies. Private breast pumping room - AB 1976 by Assembly Member Monique Limón, D-Goleta, requires employers to provide their workers with a private area that is not a bathroom to pump breast milk. Are you interested in providing immunizations to your patients? California law allows optometrists to become certified to perform three immunizations - flu, shingles, and pneumonia vaccines - on adults. 1. Optometrists will need to complete an immunization training program that is endorsed by the federal Centers for Disease Control and Prevention (CDC) or the Accreditation Council for Pharmacy Education that, at a minimum, includes hands-on injection technique, clinical evaluation of indications and contraindications of vaccines, and the recognition and treatment of emergency reactions to vaccines. 2. Optometrists will need to maintain basic life support certification. 3. Optometrists will need to perform one hour of ongoing continuing education focused on immunizations and vaccines from an approved provider once every two years. Many optometric colleges are currently working on creating a certification training course specifically for optometrists. In the meantime, immunization training courses developed by the pharmacy profession can be taken now. The pharmacy certification course is 20 hours total - 12 hours of self-study with a test and an 8-hour, live seminar component that involves attending the full live seminar, successfully completing the injection technique assessment, and completing the assessment. The next course is on November 3 in Los Angeles. COA members are eligible for the California Pharmacists Association member rate. For more information about immunizations generally, check out the Immunization Action Coalition (IAC). IAC works to increase immunization rates and prevent disease by creating and distributing educational materials for healthcare professionals and the public that enhance the delivery of safe and effective immunization services. Additionally, the CDC produces a number of resources such as posters and flyers that can be downloaded free of charge. "Lens-Related Glaucomas" by Dr. Billy Pan. 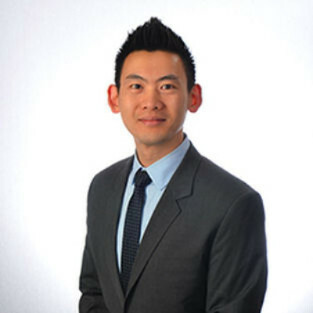 Dr. Billy Pan is glaucoma specialist working at the Terry & Kim Eye Institute. He has been trained extensively in the latest minimally invasive glaucoma surgeries, as well as traditional trabeculectomies and glaucoma drainage implants for advanced and complex cases. I'm sure you all have heard our own Rio Hondo Optometric Society member Ed Hernandez is running for Lt. Governor and has a really good chance of winning the election. This would be the big first, having an optometrist represent us. Many optometrists and of course the COA are supporting Ed run for Lt. Governor. What does the Lt. Governor do? As the President of the Senate, the Lt. Governor presides over debate in the chamber and oversees the movement of legislation through the chamber. While he cannot vote or sponsor legislation, he works with advocates in the Senate to introduce the legislation for him. He of course needs our support. He is running against someone who is self funded and has very deep pockets to get the word out. He also needs to get the word out and we can help. He asks all to vote on election day and support his campaign with contributions. If you are willing, volunteer at his campaign headquarters and call people on his behalf. This is a great opportunity to support Ed, time is short let's get involved. We have a fun holiday party planned on December 18th. 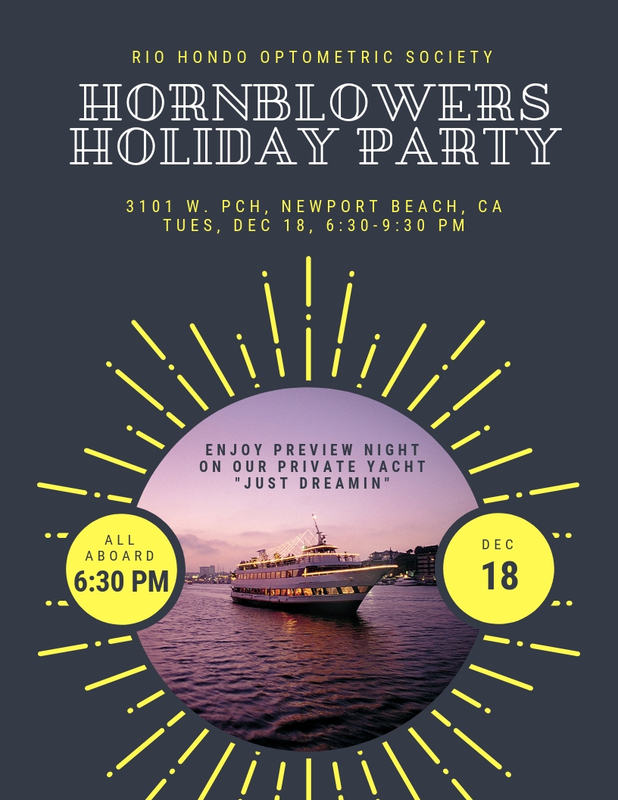 Join us for Newport’s preview night of their Christmas parade as we cruise around the harbor and enjoy the lights by the sea. The Whittier Vision Center (WVC) is now available for an ambitious doctor eager to own a full-service, private practice located in suburban LA county and nearby north Orange county in Southern California. The WVC experiences strong and continued growth. Yelp reviews and other social media web sites give this family-oriented practice high praise and generate a continuing flow of patients. Since its founding, the WVC has offered general care with a convenient in-office, up-to-date, dispensary and contact lenses. Meeting the visual needs of children and adults with learning and developmental issues has been an essential part of WVC’s m ission to serve the community and vision therapy services are provided. This year’s gross is projected to exceed 400K, on a 4 ½- day week. The current owner is transitioning to retirement and is highly motivated so easy-term financing can be arranged. To facilitate the transfer of patient care and business operations the owner is willing to stay on for one or two years. For more details email Dr. Dennis Spiro at djspiro@att.net with the by-line, Practice for Sale. A position is available fulltime or part-time in a a well established optometry practice. The office specializes in comprehensive examinations with special emphasis on medical optometry . We serve the eyecare needs of the Compton community with patients consisting of large families, the young and elderly. The office is equipped with EMR, autophoropter, fundus photography and visual fields. Pretesting is performed by the staff including patient history autorefractor/keratometer, IOP, visual fields and lensometry. The fulltime position includes benefits including health and malpractice insurance, paid vacations and observance of major holidays. Looking to hire a full time or part time Optometrist (Chinese speaking will be very helpful). Offering top salary along with great benefits! The Sky's the Limit! We look forward to adding a new doctor to our practice. Please forward resumes to Elvi.Lim@goldenvision2020.com and title your email "FT/PT Optometrist RIO HONDO" along with your location of interest. Copyright © *|CURRENT_YEAR|* RIO HONDO OPTOMETRIC SOCIETY, All rights reserved.